I never thought I would say this but I am slowly and slowly falling in love with individual desserts, I feel they look so smart and adorably pretty at the same time. 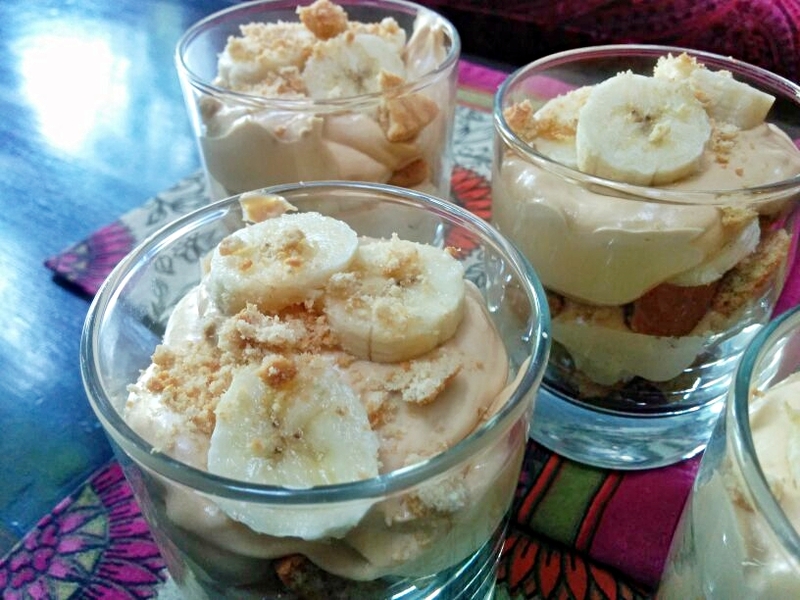 I also wanted to make the Banoffee pie but a big pie was not appealing me I wanted something little but not lacking in any flavour and so I deconstructed the pie and what I got was fruit dessert that is so luscious and creamy, totally decadent. These little pots totally hit the spot they were super easy to make and a great hit with my friends. They provide just the right mixture of sweetness, creaminess and crunch. You can make them an hour or two in advance, if you wish and keep them chilled in the fridge until ready to enjoy with your family and friends. YUM! YUM! YUM! Pour the cream into a large bowl and whip until soft peaks form. In a separate bowl place the dulce de leche and mix in the extra 2 tablespoons of cream in it to thin it and then fold in the whipped cream. 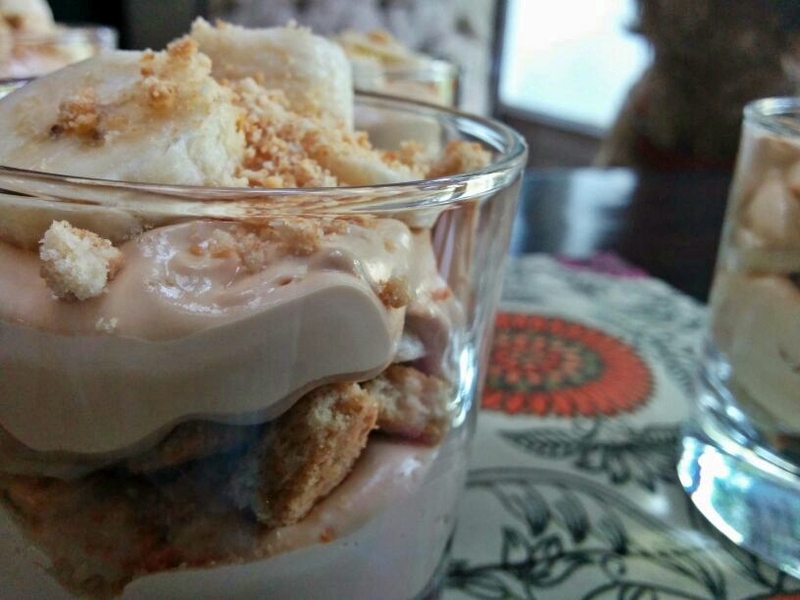 Divide half the biscuit pieces between the glasses, then add half the banana slices, dividing them between the glasses followed by half the cream mixture, repeat the layering with the remaining ingredients and decorate the tops with sliced bananas and biscuit crumbs. Let them chill completely and ENJOY…….. 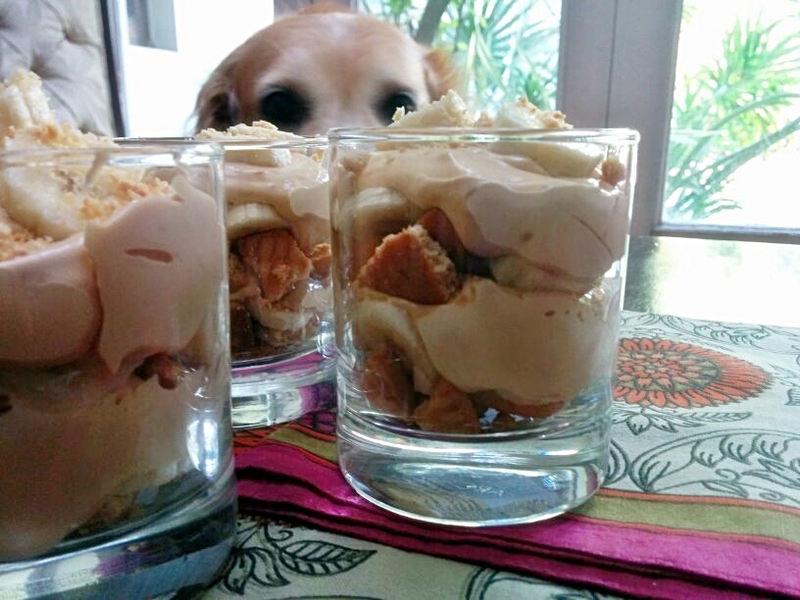 I love that little doggie peeking his head over the dessert cups. They look delicious so I can imagine what he’s thinking! 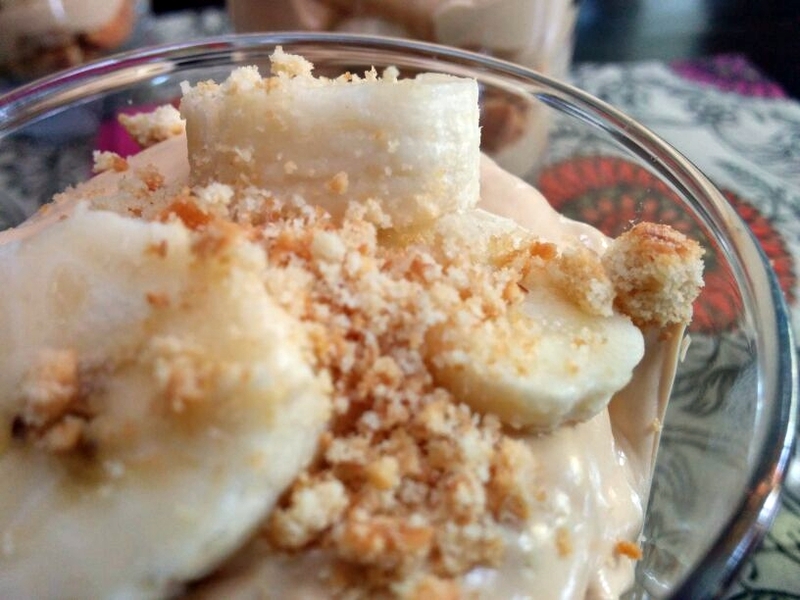 These banoffee pots are so appetizing ! The perfect easy and delicious dessert for a diner with friends ! I’ll try it soon !